Are you looking for a latest Smartphone with combination of modern hardware & software? Micromax has recently launched the new Yu Yureka phone with new Cyanogen software which is known for high customization. It is priced amazingly low and can be bought only online. Read the article for its detailed review. Micromax is growing at a very fast pace in India but it has a reputation of selling low quality & low priced smartphones. The company is doing good and has a lot of competitors in this segment but someone who can afford to buy a Samsung or Motorola phone will definitely not go for Micromax. So, now it aims to stand out and make its unique place by selling unique smartphones. The company is all set to make some bold moves for it.For example, Micromax and OnePlus, both the companies have been fighting over the exclusive right over the Cyanogen software since long but amidst this controversy, Micromax launched the new Yu Yureka phone in India which is powered by this new software. Definitely, Micromax will gain significant competitive advantage due to this. The Yureka is available only online. The new software is creating a lot of buzz and I was keen to try it. I spent some time with the device and would like to share my take on it. Continue reading for a detailed review. The Yureka doesn't look very different from other Micromax smartphones though there's no sign of Micromax marking anywhere on the device. The front of the device is primarily dominated by a 5.5 inch IPS display with HD (720x1280-pixel) resolution. There are Home, Back and Menu buttons below the screen but only Home button has printed icon. There are no other markings in the front. The Back and Menu buttons light up and become visible only when the screen is active. All three buttons offer good tactile feedback. The rear has slightly rounded edges, an odd looking light blue printed YU logo, speaker grille and a 13MP camera with LED flash tucked in left corner. Its removable back panel is grey in color and has a soft matte finish which the company refers to as 'Moonstone Grey'. This is very similar in texture to the OnePlus One. If you remove the back panel, you will see two Micro-SIM card slots, one microSD slot and the removable battery. The headset sockets are provided on the top edge, Micro-USB sockets on the bottom edge and the power & volume buttons on sides. All buttons can be comfortably reached. Interestingly, its edges are raised in order to help prevent scratching. Also there is Gorilla Glass 3 to protect against scratches. Overall, the design can be called utilitarian. The phone has good build quality. It is not very slim or light but feels good in hand (in fact better than most Micromax phones) and is very comfortable to carry. The screen's sunlight legibility is also better than that seen in most phones of this price range. It is fit for daily usage. The new Yureka is powered by brand new 64 bit Qualcomm Snapdragon 615 octa core chip with 1.5GHz processor cores. It is the same chip that we saw in the newly launched Vivo X5Max Smartphone. Though 2GB RAM is good enough for a phone in this price range, the device needs more memory to fully leverage its 64-bit capabilities. The phone runs Cyanogen OS 11, a custom aftermarket version of Android 4.4 KitKat developed by Cyanogen but it will soon get the Android Lollipop update. The software is known for its additional privacy, enhanced performance & customization features and is thus developers' favorite. The UI is highly customizable. There are a lot of interesting themes and you can mix and match their elements to create your own theme. Creating a Cyanogen account allows you to download more themes. There are so many settings for even tiny little things. For example, you can decide the appearance of the power level indicator, the duration for which the capacitive button backlight should stay on and even the functions of device's buttons. You can also choose between using soft on-screen navigation keys and hardware capacitive keys as per convenience. Also, there are many shortcuts. You can change anything you don't like and completely change the original Yureka phone you buy. The phone has all the common Google apps by default. There was no lag while launching or switching between these apps and multitasking was easy. I must say Qualcomm's new CPU performs really well. Standard wireless protocols- Bluetooth 4.0, GPS and Wi-Fi b/g/n are covered. The phone's chip supports dual-mode 4G LTE connectivity (supporting both the less common LTE FDD 1800MHz and the LTE TDD 2300MHz bands) which covers all Indian 4G networks. The Yureka is one of the cheapest phones in India to offer a chip based on 64 bit architecture and 4G connectivity. The phone has 16GB of storage space which I think is good enough. It can be expanded up to 48GB via microSD card if you require to store more. The 13MP rear camera (with Sony EXMOR CMOS sensor) is the most impressive feature here. It captures high quality, sharp images in day light as well as low lighting conditions. Close-ups also looked brilliant even when zoomed at 100 percent. It has f2.2 aperture and is capable of capturing 1080p videos. Some videos were a bit shaky but not too bad. The only major complaint is that it takes a lot of time to auto-focus, making it difficult to capture moving subjects. The phone also features a 5MP front camera with good 71 degree field view, allowing you to take group-selfies. The phone comes with a 2500mAh battery which delivers 210 hours of standby time and 8 hours of talk-time as per Micromax. I tested the device by playing video games and surfing internet and found that the battery lasted for more than 8 hours which is more than I generally expect from a phone of this price range. The Yureka is priced at Rs 8,999 and is now available for sale on major online websites. The phone will be sold only online and the good thing is that Micromax will offer free replacement or repair at the buyer's doorstep. 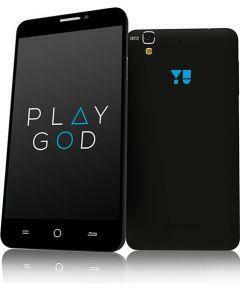 If you are looking for a latest Smartphone with combination of modern hardware & software, go for YU Yureka. It looks great, has no major flaws, is highly customizable and is priced amazingly low. Yu may face competition from Xiaomi RedMi Note 4G and newly announced Lenovo A6000 phones. In fact. Lenovo A6000 has already been nicknamed as RedMi Note killer. But as far as my info goes, the specifications of both RedMi note and Yu Yureka almost match. I don't feel Lenovo A6000 will pose any threat to Yureka, but yes, there is a competition from RedMi Note 4G. Love this phone. Go for it without a second thoughts. Incredible Yureka. Love the complete customization aspect.